When we are spending a small fortune on luxury items, we are not buying Fair Trade to help the planet. Rather, we are seeking goods that make us feel special. What can be more special than a pair of brand-name organic sports shoes from France made of cotton and rubber from Brazilian co-ops? Fair Trade coffee is not about Western countries' guilt toward Africa, since nobody gets rich by begging. Apart from a small number of activists, people don't buy for social or environmental reasons, but because they like the product. What makes a good product is its exceptional quality and the fact that it's an original that stands apart, and today many such luxury products simply come from Fair Trade. 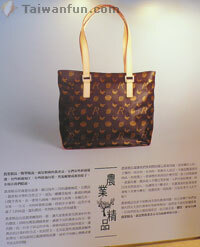 Look at LVMH, which owns Moet-Hennessy drinks, Louis Vuitton leather goods and a range of perfume and fashion brands. This company has been striving for the past 15 years to bolster its green credentials by reducing waste and carefully sourcing animal hides for its top-end leathers. For example, Moet et Chandon champagne has reportedly halved water consumption over six years, while the flagship Vuitton store on Paris' Champs Elysees now uses 60 percent less electricity than others, after revamping its lighting system. The company also has aimed to help its partners in emerging nations such as Vietnam or Burkina Faso--which supply ingredients for perfumes and cosmetics--to develop viable economic projects. Global Fair Trade sales have soared over the past decade. The increase has been particularly spectacular among Fair Trade labeled goods: 569 producer organizations in 58 developing countries were FLO-CERT Fair Trade certified and over 150 were IFAT registered. 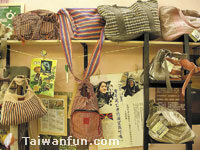 But, in Taiwan, consumers are just awakening to this trend. 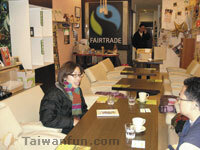 okogreen (Eco-Green) is the first Fair Trade certified organization in the Chinese region, and were also the first Fair Trade shop in Taiwan. Likewise, okogreen Coffee is the first Fair Trade coffee brand in the Chinese region. Another local example is a successful co-op farm in Hualien (recently visited by this writer), supported by World Vision and managed by Amis Aborigines. Hoanya Bookstore (http://hoanya.ngo.org.tw/about.htm) in Chiayi and Tainan has also reportedly made some wonderful attempts in this area. Although there are almost 40 organic farms in Taiwan, none of them are yet dedicated to Fair Trade, suggesting there is great potential for development. It wouldn't be surprising if the existing organic co-op system becomes the main driving force for Fair Trade development in Taiwan. Look at Indonesia, where shops were set up to sell organic products in Yogyakarta and elsewhere since 1997 by the Consortium of Fair Trade Company. The shop owners return most profits to farmers. To catch up with the general global trend, the BIOCert was set up to provide guarantees for the organic process and products, to protect the interests of small-scale farmers, and to promote sustainable environment, equality, democracy, transparency and accountability. This strategy has stimulated the integration of organic farming and Fair Trade in Indonesia. The day is near when people in Taiwan and the rest of the world will be thinking whether the fuel they pump into their car is a Fair Trade product, just the way we have started to think about gourmet coffee beans today. When that day arrives, this writer will be very proud of getting involved with a Fair Trade bio-diesel project in Rwanda via a company like Eco Positive. Fair Trade may sound like a progressive and fresh idea today but, a few years down the road, it will simply become part of our consumer instincts. The recent trends of organic food, responsible travel, energy saving and carbon emission reduction, LOHAS, slow life movement and other green lifestyles are all intertwining with Fair Trade one way or another, so that soon we won't even be able to differentiate the previously individual ingredients of this overall formula. It is already happening. In 2007, both the Scottish and Welsh governments were actively attempting to become the "world's first Fair Trade country". In Taiwan, it is not too late to develop a coherent policy framework and this resolution will help us. Maybe a trip to Rwanda is a very good idea, too. Eco-Green was established for the sole purpose of combining social justice and environmental preservation in our society. This organization has set up around the world, and works towards promoting the importance of the Fair Trade movement in the international community as well as in Taiwan, on issues such as eradicating poverty and global warming. 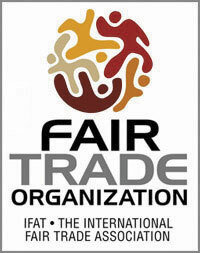 It is also the first Fair Trade organization in the Chinese region to sell and promote Fair Trade commodities.